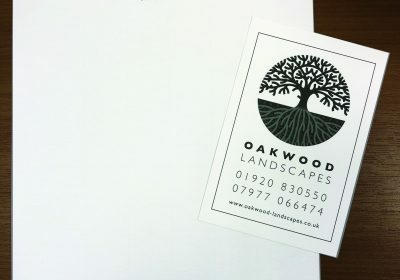 Oakwood Landscapes were contacted to survey an area to be fenced off, we submitted our idea to the owner who then asked us to proceed with close board fencing and concrete posts with gravel boards, the whole job took 2 days, to level and clear the existing site, and then erect new fencing along the perimeter line. 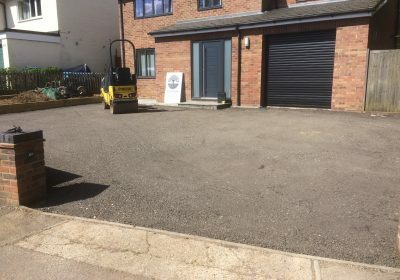 the site was left clean and tidy ready for summer. 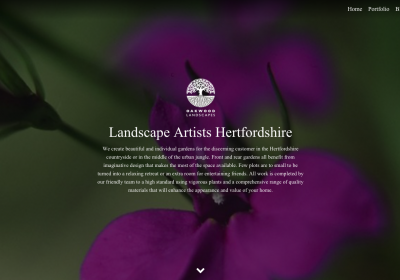 Oakwood Landscapes have a new website, and our combined workforce has a wealth of experience and range of skills enabling us to take on any garden project, however large or small. 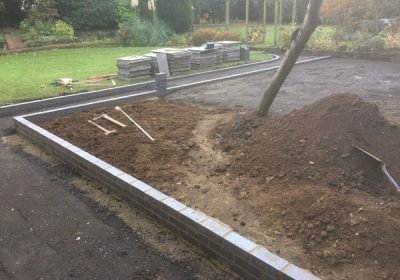 sub base for the new patio and brick edged path, we will keep you all informed of progress and what the final landscape construction of the driveway and patio look like.